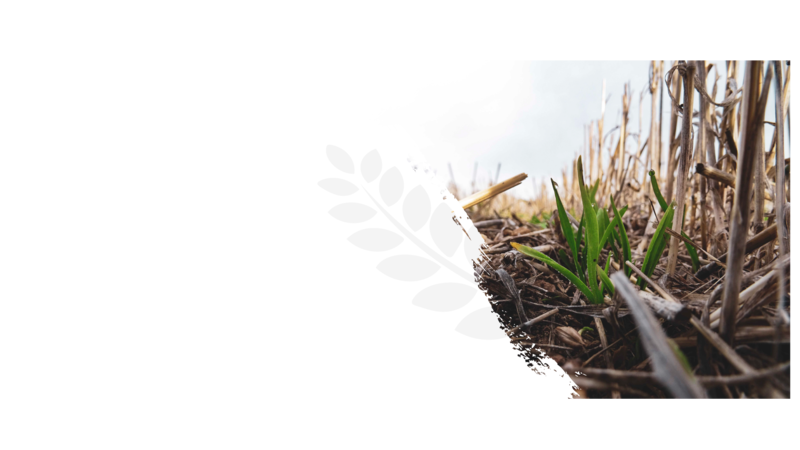 Conservation Agriculture (CA) is an innovative alternate paradigm of regenerative, ecological and sustainable agriculture that is replacing the degrading conventional tillage based agriculture worldwide. CA has spread globally over more than 180 M ha of annual cropland across all continents and land-based agro-ecologies. Global CA area has been increasing at an annual rate of more than 10 M ha since 2008/09, and smallholder and larger-scale farmers worldwide are successfully overcoming in various ways the biophysical and socio-economic constraints to achieve this remarkable agricultural transformation. The adoption of CA is occurring in all land-based systems in rainfed and irrigated agriculture, including annual and perennial cropping systems, including orchards and plantation systems, agroforestry systems, crop-livestock systems, rice-based systems and organic systems. This sub-theme will highlight the successful experiences and learnings in all CA systems and land management in different regions, countries and agro-ecologies across the world. The sub-theme will illustrate the nature of the worldwide success in different annual and perennial CA cropping and farming systems across different agro-ecological zones and socio-economic conditions for smallholder and larger-scale farmers under the difference situations of farm power, mechanization and economic development. Conservation Agriculture offers a wide range of productivity, economic, environmental and social benefits to the farmer and society. These benefits include improved yields and yield stability and profit, optimized and reduced use and cost of production inputs including agrochemicals, fuel, time and capital, control of soil erosion and land degradation, enhancement of biodiversity, climate change adaptability and mitigation, and improved ecosystem societal service such as clean water, carbon sequestration, nutrient cycling, and pollination services. This sub-theme will present the global empirical and scientific evidence on a wide range of productivity, economic, environmental and social benefits and impact that are being provided in the different agro-climatic zones through CA-based cropping and farming systems. The sub-theme will also elaborate a range of ecosystem functions and services that are being harnessed at the community and society, landscape, watershed and regional levels, and any supporting assessment and certification schemes. Mainstreaming is a process of aligning and providing coherent multi-stakeholder support to achieve and sustain the transformation of conventional tillage-based agriculture into the new alternate Conservation Agriculture paradigm. There is a particular challenge for farmers, especially smallholders, in many parts of the world to access sustainable mechanization complying implements and no-till seeding and weeding equipment and machinery. There a need to ensure the availability of adapted seeds of leguminous and non-leguminous cover crop, as well as the need to reduce or minimize and optimize the use of production inputs of agrochemicals, energy and farm power, and maximize input factor productivity. Support is also needed to meet environmental and food safety standards in CA systems and to strengthen the biological and ecological basis of all CA systems. Policy and institutional support and incentives from government, private and civil sectors constitute a major driving force for mainstreaming CA systems and best practices at the local, national and global level over the shorter and longer time horizons. The sub-theme will highlight the policy and institutional support systems, including commercial and financial investments and infrastructure development, for mainstreaming CA farming systems and value chains across nations and continents. A particular emphasis will be paid to availability and access to CA equipment and machinery as well as seeds of cover crops, particularly by smallholders. It will also consider incentives and institutional support to farmers and their communities to adopt and improve CA-based agricultural land management. It will address the developmental role of CA famer organizations, research, education, service providers and investment in CA uptake and scaling, and the relevance of CA quality assurance and certification schemes. The sub-theme will elaborate upon the role of CA in climate smart agriculture and in the implementation of international conventions, treaties and agreements such as on climate change, biodiversity, land degradation as well as the UN SDGs. A key area of continuing need and application to support CA-based agricultural transformation is the need to generate, organize, process, analyse and share knowledge and information regarding different CA farming systems and supporting practices, including the related agro-ecologies and socio-economic conditions. Reliable empirical and scientific evidence from knowledge and innovation systems are needed across the value chains and sectors related to management of CA systems and practices and their performance to create awareness and understanding, formulate policies, provide institutional support and accelerate the spread of good quality CA systems and best practices. This sub-theme will focus upon CA related knowledge and innovation systems including farmer-based innovation systems, and on-farm systems research that are successfully supporting CA adoption and scaling, and the associated productivity, economic, environmental and social impact. It will also elaborate CA-based knowledge sharing and communication approaches, including through social media, web-based interactive platforms, on-line learning and training resources, and farmer networks. The sub-theme will cover ways to meet knowledge and information needs of all the stakeholders involved in promoting and supporting CA adoption and mainstreaming. © 2019 8WCCA. Developed by Signlab Nuevas Tecnologías.